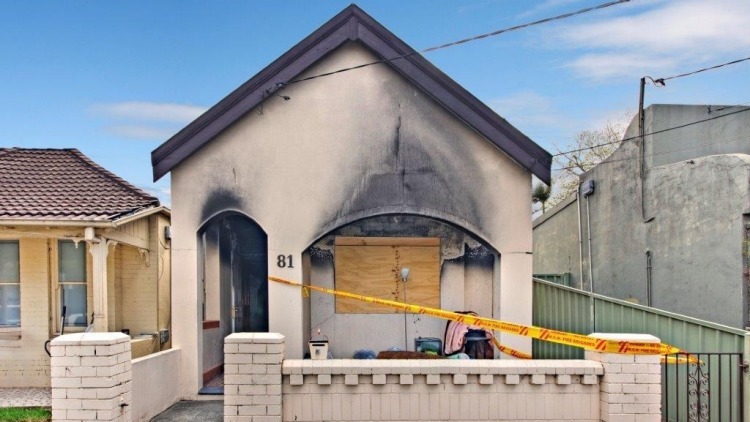 Fire damaging a residence and sparing it from total destruction would be mere consolation for its homeowner whose inclination is to sell house fast and have a fresh start. Having a typical home market ready could already be taxing; much more so for a fire-damaged one. But with a lot of patience and taking some meticulous efforts, sale of a fire-damaged house could be successful. The important thing is that the homeowner still has a salvageable property. From here, picking up the pieces through firm and purposive action steps virtually lays the groundwork to sell house fast. Fire insurance claims have to be filed ASAP, so contact the insurance agent for advice on what’s covered and what’s not. A prompt action is important especially if there many other homes affected by the fire. Get ahead of the queue of insurance claimants and be the first served by the adjuster. The insurance agent will not only be helpful in quickly facilitating financial claims. An agent can also make referrals on professional help in the repair and restoration of a fired-damaged home. Professional work on repairing and restoring a residence damaged by fire is costly but it could help a lot to sell house fast. To save money, a homeowner, of course, can do part or all of the restoration. However, explicit approval of the fire department is a must before entering the fire-damaged home and work on it. Damage on a home may appear minimal but its vital structures may have been severely compromised. Also, fires could re-ignite although it may appear to have been extinguished already. Prior to cleaning a fire-damaged home, it must be stripped of cabinets and bulky furniture. This will expose stains that smoke left behind or under these items. Mild soap or detergent cold then be used to remove these stains for a through cleanup that could help sell house fast. Fire in a home leaves an overwhelming smell which could last for months if not effectively addressed. One simple approach to eliminate the odor is to induce airflow using outward facing electric fans positioned by the doors and windows. Deodorizing sprays can also be applied DIY-style, but many of these products simply mask the smell rather than eliminate it completely. The professional way is to use counteractants or odor-blocking encapsulation spray that break up the smoke molecules throughout the house. Hire a professional to inspect the home’s foundation, electrical system, pipework, and insulation. All these could be adversely affected and compromised by fire, and their safety and functionality are paramount to sell house fast. Molds can likewise develop as a result of fires. Hence, make sure to check for any sign of mold which could jeopardize a home sale. Fire damage disclosure on home sales is mandated by federal and state laws. While being honest about it, some extra marketing push would be needed to highlight the other strengths of the property, such as its location, in order to sell house fast. At House Sold Easy, however, we need not be impressed with any of the marketing pitches for a fire-damaged house. We can even, in fact, buy fire-damaged houses as-is. Our team has construction experts who could immediately assess a fire-damaged residence and present various options including a cash offer outright. Call at 636-525-1566, and let’s make a deal on your fire-damaged house.